The number of people with dementia is steadily increasing. The Alzheimer’s Society believes that careful planning for the future is needed now to ensure that the right care and support is available. 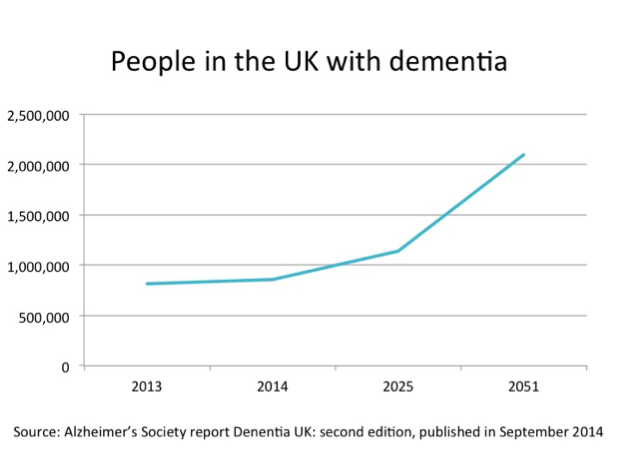 The Alzheimer’s Society report “Dementia UK: second edition”, published in September 2014 shows that in 2013 there were 815,827 people with dementia in the UK. If current trends continue and no action is taken, the number of people with dementia is set to rise to over 1 million by 2025. This will soar to 2 million by 2051. A recent research initiative, funded and commissioned by the Baring Foundation, explored how music and singing can feature regularly in care homes across the country. It was a unique collaboration between 30 leading national organisations from adult social care, music and academic research, led by Live Music Now, Sound Sense and Canterbury Christ Church University. Their findings were published in May 2016. Care Home Managers will be particularly interested to read the Working Paper 11 which looks at two specific health agencies – the Care Quality Commission and the National Institute for Health and Care Excellence – and the role they might play in encouraging music making in care homes. 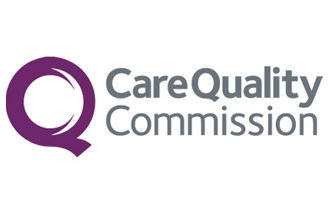 Andrea Sutcliffe, Chief Inspector at CQC discussed with the research group how regular musical activities can influence the assessment they [CQC] make of a care home’s services. Singing and music can address the five CQC quality questions of the care services they inspect. Musical activities support bonding, build relationships and respect, encouraging person-centred care, leading to a safer environment. Care homes reported fewer accidents and improved sleeping patterns. The CQC says – Music activities contribute to meaningful lives of people living in care. Taking part in music activities develops skills in staff that contribute to how they are equipped to offer holistic and person-centred care. Families reported that older people were happier as a result of music projects. Participating in music activities support bonding, build relationships and respect; encouraging person centred care. Music supports residents to communicate about themselves and their histories. Music improves mood, can help with depression and can alleviate distress. Care homes reported that staff were happier in general and more engaged with residents. Taking part in music offers residents choices, agency and control. Music is a social communal activity that is open to all. Music brings people from outside and connects the residents with the wider community. Families reported that older people were happier and more engaged with others and in their circumstances during and after music activities. 5. Are they well led? Music creates an open culture and shows spark and innovation. Taking part in music can be empowering and allow people to find new things about themselves and grow creatively. Care homes reported that staff were more motivated and communicative. NICE guidelines NG32, published in December 2015, looked at interventions to maintain and improve the mental wellbeing and independence of people aged 65 or older. This examined the evidence for the benefits of singing, among a number of activities. It found that that “for most older people singing would prevent a decline in independence and support their mental wellbeing”. Moreover, the evidence for cost-effectiveness was “strong”. “Our priority has to be to transform people’s lives when they have dementia so that they can still be part of society and enjoy life. “It is vital for their wellbeing that when given a diagnosis that their brain is degenerating, they should at the same time, be directed to creative activity as cognitive rehabilitation. Singing for Seniors is not about creating a choir, but about the importance of everyone in the care home having the opportunity to participate in the singing session no matter their ability. Simply tapping their feet is stimulating and beneficial to the resident.